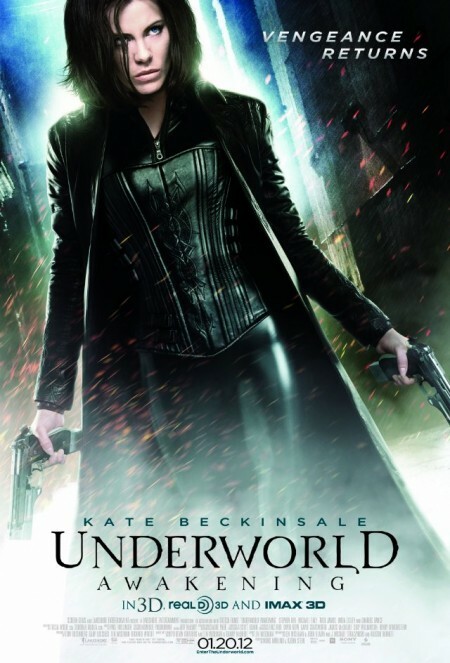 If you know the original Underworld you’ve a pretty good idea what you’re getting here: Vampires, Werewolves, action, a palette of blacks & blue, a certain amount of gore, a British character actor of a certain age, a gut shaking thump to the soundtrack and, of course, Kate Beckinsale in that outfit. Yet for each of those characteristics they have in common each of the Underworld films is a slightly different beast. The first is more political, Evolution is more of a chase and Rise of the Lycans is more historical. So what of Awakening? Humans have discovered the existence of Vampires and Lycans and set out to exterminate them. After three films most people will already have some idea if this is a film for them or not. The real question is does it deliver (and does it have Kate Beckinsale in that outfit)? Personally I have to say it’s a definite yes. It delivers. I’m not going to over analyse it because, frankly, analysing this film too much would be silly. I still think the first film is my favourite because the politics and mystery added a level of nuance to the story. Underworld: Awakening is a new fairly close second place. And it has Kate Beckinsale in that outfit. With guns.